Allegra Dining is a trendy new restaurant in Sydney’s inner south. This exquisite modern venue offers a fine dining culinary experience without being pretentious. Allegra Dining is a prime example of how fusing familiar Italian food with contemporary Australian flavours can produce note-worthy results. Located on Danks St, the food precinct of Waterloo, this creative new restaurant comes with a stunning courtyard reminiscent of an exotic Moroccan courtyard just outside Sydney’s CBD. With a passionate team with extensive hospitality experience, the venue is a vision of originality and was created as a casual, comfortable space to be shared with company. We recently popped in to experience some of the restaurant’s culinary creations, joyful ambience and impeccable service. The menu boasts an impressive selection of starters, mains and desserts for a great dinner experience as well as an all-day Sunday brunch menu for a relaxing weekend treat. The degustation menu is also designed to provide customers an unforgettable dining experience without the hefty price tag. 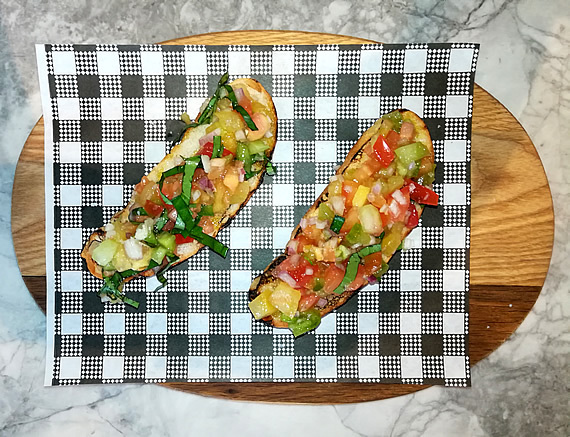 All the menu items have been carefully handpicked using fresh and local produce to give the diner a superior dining experience. 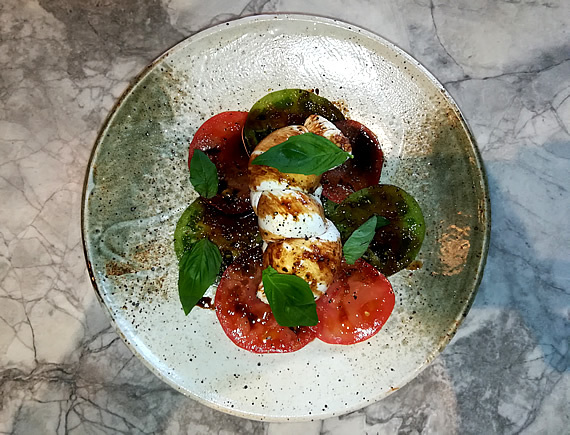 Starters include rock oysters, pickled rockmelon and prosciutto, veal tongue parmigiana sandwich and the delicious bruschetta of the day which we chose to begin with along with the venue’s version of the Caprese Salad (buffalo mozzarella, heirloom tomato, aged balsamic, basil). These are the absolute perfect starters – small enough to tease the appetite but leaving plenty of room for the bigger dishes to follow. 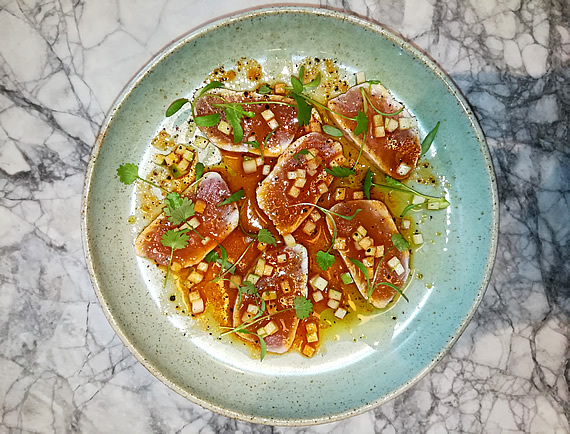 The two starters that really blew us away were the charred corn, parmesan, and spring onion butter and the seared albacore tuna with fermented chilli, green apple, and burnt lime. These were simply outstanding and had us licking the plates clean. Fresh, healthy, and again, not too taxing on the belly. When it comes to mains, there are three pasta options to choose from as well as fish, roast chicken, and short rib. 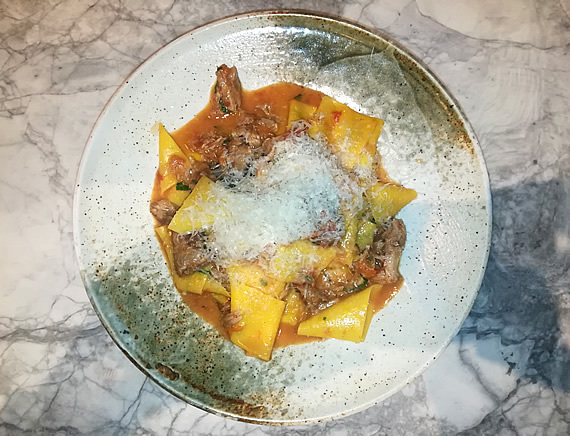 We opted for the pasta starting with the saffron pappardelle with braised pork rib and vacche rosse parmesan. This is a very simple yet highly effective dish that may momentarily transport you to the Mediterranean Sea – we felt like we were sitting in a restaurant in Italy while polishing it off. 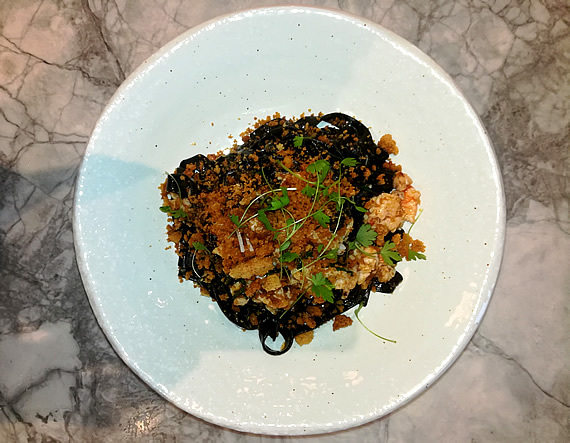 The squid ink fettuccine, spanner crab, XO butter and pangrattato followed. 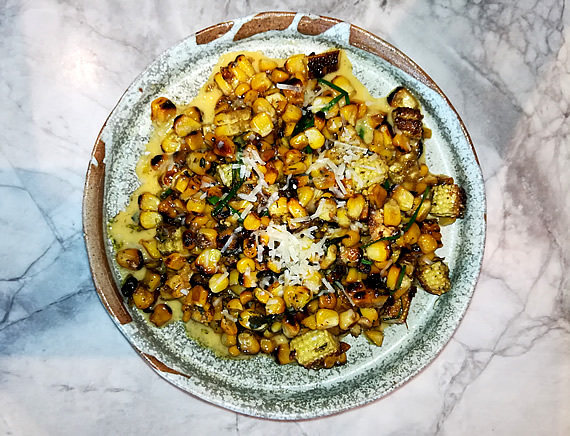 Apparently this is one of the restaurant’s most popular dishes and we could see why – it was hard to fault. The fettuccine is beautifully coloured with jet black squid ink. The pasta is clearly made in-house which gives it a nice silky texture and is just heavenly to devour. Highly recommended! If you have room for dessert after all that, we would have to suggest trying the Tiramisu. This popular coffee-flavoured Italian dessert is simply delectable and will guarantee you walk out of the venue with a smile on your face. Allegra Dining is open for dinner from 5pm to 10:30pm (Tuesday to Saturday) and 9am-3pm for Sunday Brunch (Long Lunch from 11:30am). If you’re looking for a fine dining establishment with casual ties and paradise within reach, make sure to check out this truly hidden gem.